I have a vision and I am setting my goals for the future. The clouds surrounding the emotional pain of my divorce are beginning to lift. 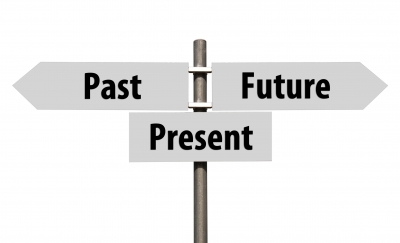 There is no surer way of ridding myself of the baggage of the past than by focussing on the future. Up until now that has not been possible. Up until now, looking towards the future has filled me with fear and anxiety. Up until now, I have brushed future plans aside. I have instead focused on getting ‘over’ things (the sadness of the past) or getting ‘through’ things (the divorce settlement). Both have been emotionally and physically draining. Today, however, I feel energized. For this reason, I feel that I am moving into the exciting new phase of my future. My energy levels have been noticeably “less-than-normal” since the ending of my marriage. Whilst they have ebbed and flowed, they have also followed a pattern. When I am in pain, I have no energy. When I am angry (an energy-charged emotion) I have short bursts of activity which I try and direct into something positive but the emotional overtone throws me back into pain and the subsequent negative energy thus cancels out any perceived energy gain. When I am sad or frustrated I have limited energy which I can disguise. That is, I can get things done as long as I look after myself. When I say ‘in pain’, I mean emotional pain which can be as great as some types of physical pain. There is also what I call ‘practical pain’. In the case of divorce, that is the pain of dealing with all the mess (splitting personal effects, property settlement etc). So I have had the practical pain of dealing with the mess and the emotional pain of “it is not fair that I have had the mess to deal with” attitude. It was not easy but I found ridding myself of the emotional pain has made the practical pain a lot easier. It has still been hard going. I could get things done, even though all the time I was doing those things I knew I did not want to be doing them. At those times, I felt vulnerable and needy. I was living life with a black cloud pressing down on me. Today I feel the black cloud disappearing, its heavy weight lifting. Instead of seeing those remaining ‘practical’ things as something I begrudgingly have to do, I now see them as a necessary step in order to move into my new life. Level 1. I am in pain. I have no energy, no life. All energy is directed into mere survival. Level 2. I have needs. I move as if trudging through mud. All energy is directed into getting myself stronger. I focus on my needs and providing myself with a sense of security. Stability and routine are important. They provide me with a blanket of comfort. Friends and family are important to me, for me, for comforting me. I have little energy for giving back to others. I am making plans and goals. I am acting on my goals. I am giving back to others. What Level Am I Up To? I believe i am now in the third “dreaming” phase. You may ask how I know what the fourth and fifth levels will be if I have not yet been through them. That is the beauty of reaching the “dreaming” phase. In that phase I can plan whatever I want for the next phases. I can choose them. I can create them.